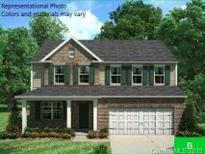 Find Troutman, NC New Homes for sale. View Photos, Maps and MLS Data Now! Nicely appointed throughout with upgraded flooring, stainless appliances, and granite countertops! MLS#3487001. TLS Realty LLC. All the bells and whistles! A must see! MLS#3467794. Southern Homes of the Carolinas. NO HOA so bring boats and RV's MLS#3468539. Southern Homes of the Carolinas. Located in Troutman in the beautiful Lake Norman area with easy access to public boat launch and Lake Norman State Park. Other awesome homes available! MLS#3485032. Lennar Sales Corp.
Lovely ranch home on large lot. MLS#3484285. Southern Homes of the Carolinas. Lovely 2 story home on nice size lot! MLS#3484328. Southern Homes of the Carolinas. Lovely ranch home with basement, screen porch, no carpet and more MLS#3474696. Southern Homes of the Carolinas. Current incentive $7,500 towards closing costs if use Eagle Home Mortgage. MLS#3483335. Lennar Sales Corp.
Current incentive $7,500 towards closing costs if use Eagle Home Mortgage. MLS#3483355. Lennar Sales Corp.
Falls Cove - Home will be complete and ready for 4/1/19 move-in! MLS#3481639. Giving Tree Realty. Falls Cove - This home has a 3 car garage with ample walk in storage space. Completion date is 4/1/19. MLS#3478620. Giving Tree Realty. Located in Troutman in the beautiful Lake Norman area with easy access to public boat launch and Lake Norman State Park. Other awesome homes available! MLS#3478056. Lennar Sales Corp.
Nice open floorplans and large lots! A must see! MLS#3474514. Southern Homes of the Carolinas. Current incentive $7,500 towards closing costs if use Eagle Home Mortgage. MLS#3475731. Lennar Sales Corp. Oversized Master Suite features Huge Walk in Closet and Dual Bowl Sink Vanity. MLS#3476317. TLS Realty LLC. 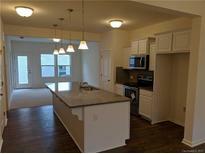 All nicely appointed with granite countertops, upgraded flooring throughout, and stainless appliances! MLS#3476193. TLS Realty LLC. Convenient Location, Community Features and Amenities, and MORE! MLS#3474869. TLS Realty LLC. Side by side stainless steel refrigerator will be included. MLS#3458518. Southern Homes of the Carolinas. Kelly Farmsteads - Contact listing agent with questions or for more information. MLS#3465545. Allen Tate Mooresville/Lake Norman. Enjoy the outdoor activities at Lake Norman State Park, just minutes away! MLS#3465714. TLS Realty LLC.